The State Administrative Committee of Jammu and Kashmir has approved an immediate ₹2 crore financial aid to the Real Kashmir Football Club. The council has also mooted similar support for the top professional cricket, hockey, kabaddi and badminton clubs from the State. The State Administrative Council on Monday accorded sanction to the grant of ₹ 2 crore as financial assistance to the Real Kashmir Football Club. The annual financial aid has been approved for three years. The decision is implemented with immediate effect. The club will get the State Government support for the ongoing 2018-19, 2019-2020 and 2020-21 seasons. An official spokesman has said that within two years of its formation, the team has “performed exceptionally well at the national level including the official national football league I-League, where the club has defeated or enforced draws on top teams like Mohun Bagan, Mohammedan Sporting Club, Churchill Brothers and FC Goa”. Real Kashmir FC are playing their first I-League season. The Club is placed third behind Chennaiyin FC and Churchill Brothers Goa after 12 matches. Real Kashmir has similar points as Churchill Brothers, but the Goa club edged ahead on better goal difference. 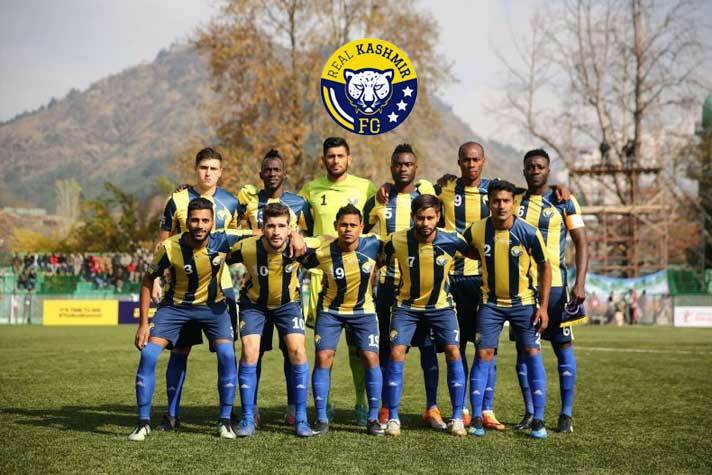 The first professional football club from the Kashmir Valley, Real Kashmir have progressed to the I-League after winning All-India Football Federation’s 2nd Division League title in the last season. “Through its prolific performance, Real Kashmir has been gaining popularity among the youth of the state. In matches played in Kashmir Valley, more than 25000 people were in attendance to cheer for their favourite football teams,” the spokesman said. “However, presently the Real Kashmir Football Club is financially not in a position to meet the expenditure on players including expenses on training, travelling, boarding and lodging. Taking note of financial constraints of the Club, its future prospects and to bring more and more youth in its fold, the SAC approved grant of assured financial assistance for a period three years to the Club, beginning 2018-19,” the spokesman said. The SAC has further directed the Department of Youth Services and Sports to formulate a proposal in consultation with the Finance Department to provide financial support for the sports teams from Jammu and Kashmir which qualify for top-level national leagues in cricket, hockey, kabaddi and badminton. The committee, perhaps, need to be informed that the hockey league has been shelved by Hockey India, and the State has no representation in the franchisee-based cricket, badminton and kabaddi leagues.